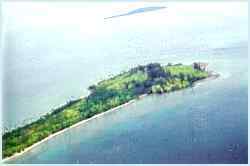 Using satellite telemetry, this site tracks the green turtles of the Turtle Islands at the border of Sabah, Malaysia and Tawi-Tawi, Philippines. The tracking results tell some very interesting stories about these endangered species' time around the islands and their migration. 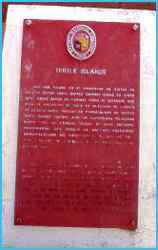 The Philippine-Sabah Turtle Islands harbor one of the world's few remaining major nesting grounds for green turtles (Chelonia mydas). In a historic bilateral agreement, the Governments of the Philippines and Malaysia established the Turtle Islands Heritage Protected Area (TIHPA), the first and only trans-frontier protected area for marine turtles in the world. Management of the TIHPA is shared by both countries, making possible the conservation of habitats and sea turtles over a large area independent of their territorial boundaries. 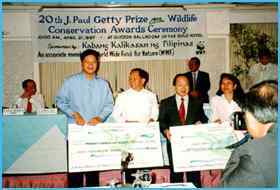 Because of this unprecedented initiative, both implementing agencies of the TIHPA - the Pawikan Conservation Project under the Protected Areas and Wildlife Bureau of the Philippines' Department of Environment and Natural Resources and Sabah Parks of Malaysia - were named the 20th J. Paul Getty Wildlife Conservation Prize awardees in April 1997. Location. The Philippine-Sabah Turtle Islands group is located in the Sulu Sea, at the southwestern tip of the Philippines, about 1,000 km southwest of Manila and some 40 km north of Sandakan, Sabah, Malaysia. 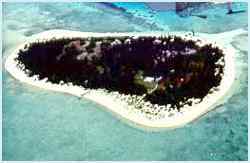 These nine islands (six in the Philippines and three in Malaysia) lie adjacent to the international treaty limits that separate the two countries. 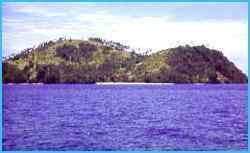 The Philippine Turtle Islands include Boan, Langaan, Lihiman, Great Bakkungan, Taganak and Baguan. 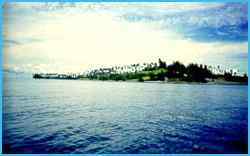 Of the six islands, only Baguan is fully protected, having been declared a marine sanctuary through legislation in 1982. 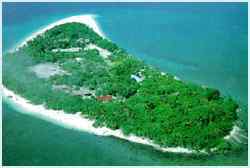 The Turtle Islands Park of Sabah in Malaysia is composed of Pulau Selingaan, Pulau Bakkungan Kechil and Pulau Gulisaan; it was gazetted as a national park on October 1, 1977. Unique Features. TIHPA is a natural laboratory where scientists can study many different aspects of geology, oceanography, marine biology, reef ecology, fisheries biology and sociology. It is, however, most famous for the turtles. Here, scientists can study many aspects of the biology and ecology of green turtles year-round. The turtles and their habitats are important sources of information for developing, updating and testing conservation and management policies for marine turtles around the world. Aside from the marine turtles, the area supports a remarkable diversity of marine fauna, notably corals and fishes, as well as a number of species of terrestrial plants, birds and other reptiles. Toward the Establishment of the 1st Trans-frontier Protected Area for Marine Turtles. As early as 1990, the ASEAN Working Group for Nature Conservation (AWGNC) saw the need for collaborative efforts to conserve marine turtles in the ASEAN Region. In 1991, the Philippines, through the Pawikan Conservation Project of the DENR, proposed the organization of a regional workshop that would formulate a plan for the conservation and management of sea turtles in the Region. In 1993, this activity was successfully undertaken through the 1st ASEAN Symposium Workshop on Marine Turtle Conservation, which was held in Manila, Philippines. The regional plan was approved by the ASEAN Senior Officials for the Environment (ASOEN) in 1994. One of the major areas of concern identified during the workshop was the conservation of the remaining major nesting areas in the ASEAN Region. 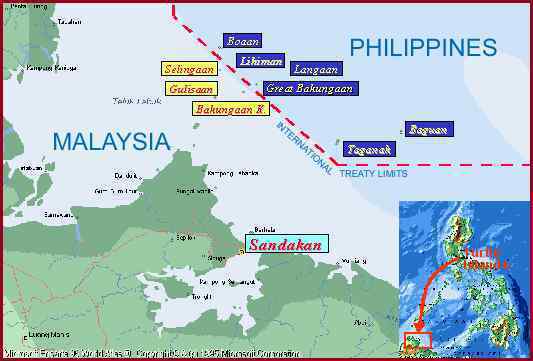 The most prominent among these areas is the Philippine-Sabah Turtle Islands, as well as the Berau Islands of Indonesia, which were declared as an ASEAN Heritage Protected Area for Sea Turtles. However, given that the ASEAN is a political institution with eight member nations (there were only six in 1993) and must deal with a diversity of issues from different points of view, the finalization of a regional agreement involving all the Parties is expected to take a long time. 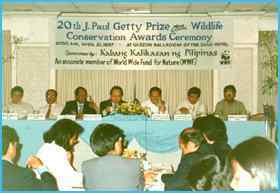 In 1995, through the Joint Commission for Bilateral Cooperation (JCBC), the Governments of the Philippines and Malaysia negotiated for the establishment of the TIHPA, with technical assistance from WWF-Philippines. The bilateral agreement establishing the TIHPA was formalized on May 31, 1996 during the 3rd Meeting of the JCBC in Manila. TIHPA AS AN URGENT RESPONSE TO CONSERVATION. Globally, turtle populations are experiencing dramatic population declines due especially to growing pressures caused by direct exploitation as well as degradation of the marine habitats used by turtles. The Philippines-Sabah Turtle Islands are not spared from this predicament. Realizing that the long-term survival of species that migrate through the oceans cannot be achieved at just the national level, the two Governments collaborated to ensure the conservation of these shared resources through TIHPA. The TIHPA is the first trans-frontier protected area for marine turtles in the world. 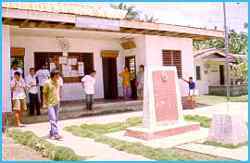 Activities of the JMC. To implement the plans and programs of the TIHPA, a Joint Management Committee was created to serve as a body that would oversee the overall direction of the collaboration. The regular meetings of the JMC serve as the primary venue for planning and resolving joint issues related to sea turtle conservation. Currently, the JMC is focusing on the formulation of a joint management plan to respond to the priority activities identified as well as other related activities which will facilitate the implementation of programs for the TIHPA. The JMC has also formulated and adopted its Rules of Procedures, a set of rules that will guide its members in conducting and observing protocols during meetings, resolving issues, and decision-making. Another accomplishment of the JMC is the installation of a radio communications network linking all the islands under the TIHPA. 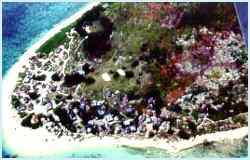 As part of the ongoing management planning process, a joint aerial mapping survey will be undertaken in 1999 to update relevant information pertinent to the planning process. This website was made possible through support provided by the USAID under the terms of Contract No. AID 492-0444-C-00-6028-00. The opinions expressed herein are those of the authors and do not necessarily reflect the views of USAID. As long as proper reference is made to the source, articles may be quoted or reproduced in any form for non-commercial, non-profit purposes to advance the cause of marine environmental management and conservation.